CEDAR RAPIDS, Iowa-Kirkwood Community College is partnering with IowaWORKS to offer a 16-week training program for computer numerically controlled (CNC) machining to offset the worker shortages of area manufacturers. Upon completion, the hands-on program includes potential interviews for jobs paying between $15 – $24 per hour. According to Elevate Iowa, by 2020 demand for CNC machinists is expected to grow by 23 percent in the state. This highly-technical career involves the calculation of machine operations and cutting tools, analysis of job orders and writing computer programs. Kirkwood serves as a key talent pipeline for area manufacturers. The college works closely with businesses to develop skills training for in-demand jobs. The immersive, 16-week CNC course includes hands-on training for cutting raw materials using lathe and milling machines. It is accredited by the National Institute for Metalworking Skills (NIMS). Training participation includes networking with Barnes Manufacturing Services, Centro Inc. and MSI Mold Builders to learn about jobs and growth possibilities in the Corridor. Enrollment in the program requires a high school diploma or equivalency. Participants who complete training receive a NIMS certificate that is also the equivalent of nine college-credit hours to apply toward a degree. 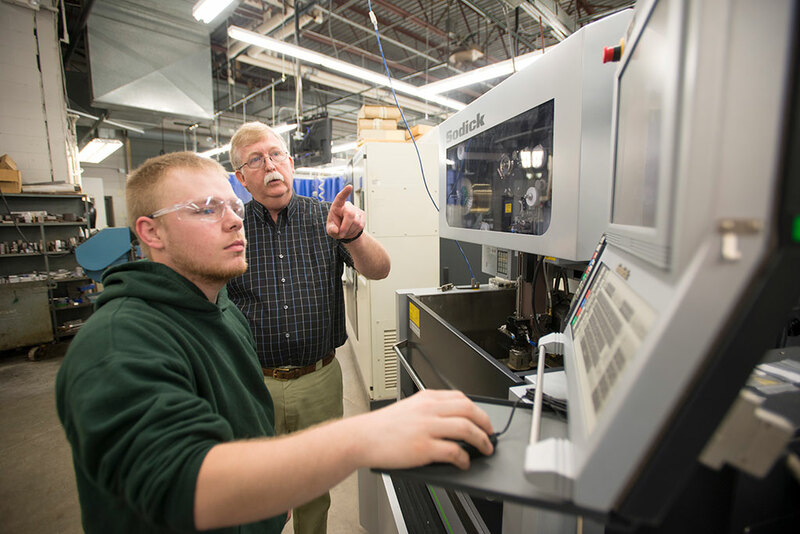 Kirkwood offers additional diploma and associate degrees in CNC Machining Technology. Advanced training typically means increased wage opportunities. Evening classes for CNC machining start Wednesday, Feb. 28, on Kirkwood’s main campus in Cedar Rapids. Megan McCarville at IowaWorks, Lindale Mall, is available at 319-365-9474 extension 31186 to answer questions about the program and tuition assistance opportunities.